Saladin Ahmad, a Muslim-American fantasy author from Dearborn, Michigan, is the author of the novel, Throne of the Crescent Moon. He made the interesting point that much high fantasy is already ethnic, it is just from the unmarked ethnicity of northern Europeans. 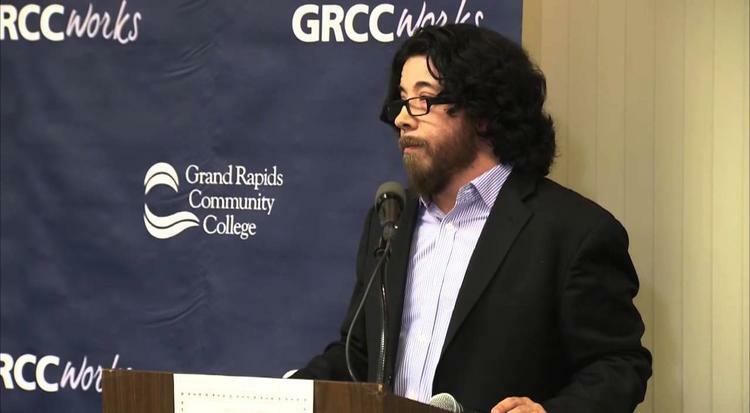 “Saladin Ahmed was born in Detroit and raised in a working-class Arab American enclave in Dearborn, Michigan. He has racked up a number of achievements as a poet and a short story writer (including nominations for the Nebula and Campbell awards), and has taught writing at universities and colleges for over ten years. Ahmed’s debut fantasy novel Throne of the Crescent Moon was published in 2012, and earned starred reviews from Publishers Weekly and Kirkus Reviews, a rave from NPR, and acclaim from readers. Throne of the Crescent Moon is the first installment of the Crescent Moon Kingdoms trilogy, and features swords and sorcerers and shapeshifters aplenty… but wait! The sorcerer is sixty years old, the champion swordsman is five feet tall, the fierce shapeshifter is a tribal girl, the setting is the Middle East — and the locals are the heroes rather than the villains. Ahmed’s epic fantasy encompasses the clash between religious fundamentalists and moderates, power struggles in a land ruled by a dictatorial Khalif, ghuls and demons, a forked sword that cleaves the right from wrong in men, a master thief who steals from the rich to give (some of his loot) to the poor, and the tug-of-war between skepticism and faith. Throne is intelligent, original, and hugely enjoyable, and thrilling for both diehard fantasy readers and newcomers to the genre. You began your writing career as a poet; what drew you to fantasy? And how did your background in poetry play itself out when writing this book — did your search for the perfect word or image ever get in the way of the action?